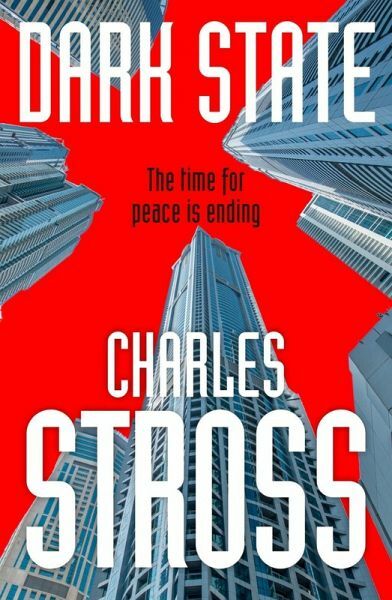 Dark State is the second book in a thrilling series - set in the same world as Charles Stross' Merchant Princes series. This book follows Empire Games . In the near future, one America is experiencing its first technological revolution - whilst in a parallel world, the United States is a hi-tech police state. But both timelines are poised for conflict. Miriam Burgeson's America is heading for civil war. However, a high profile defection might avert this crisis, if only Miriam and her agents can arrange it in time. And Rita Douglas, rival US spy, arrives during this turmoil. Rita's world is rocked when she realizes Miriam is her birth mother, changing her own mission irrevocably. Then her United States discovers yet another parallel earth, and the remains of an advanced society. Something destroyed that civilization, Rita's people are about to rouse it - and two worlds will face the consequences. 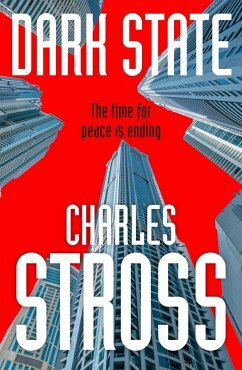 Charles Stross was born in Leeds, England, in 1964. He has worked as a pharmacist, software engineer and freelance journalist, but now writes full-time. Stross has won two Hugo awards and been nominated multiple times. He has also won the Locus Award for Best Novel, the Locus Award for Best Novella and has been shortlisted for the Arthur C. Clarke and Nebula Awards. In addition, his fiction has been translated into around a dozen languages. His novels include the popular Merchant Princes and Laundry Files series. Stross lives in Edinburgh, Scotland, with his wife Feorag, a couple of cats, several thousand books, and an ever-changing herd of obsolescent computers.